What is a summer without “Allsång på Skansen” (sing-along at Skansen)? By booking the rehearsal package to Sing along summer, you will get access to the front row seating by the scene during the final rehearsal. Seating to the rehearsal at Sing along on Skansen. The event starts at 14:30 at Solliden, where we serve Swedish Summer Buffet. 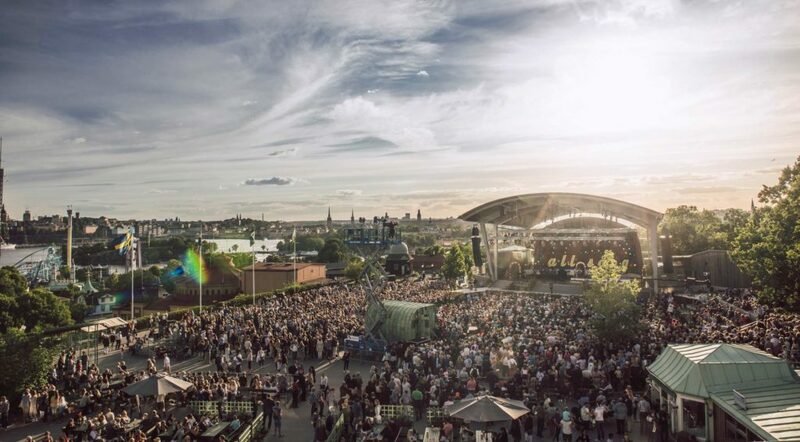 If you would prefer to see the official show of Sing along on Skansen that starts 20:00 pm you can book seats to Swedish Summer Buffet at Solliden and enjoy the show at the same time since you have a good view of the scene from the restaurant.